Indigo Burns is excited. Her wedding preparations to the man of her dreams are under way, her career as a photographer is a success, and her family seems to be doing better than ever-all except her brother Reuben who nobody has seen in years. But that's about to change, because Reuben has decided to move back home to Jubilant, Texas. But Reuben's hope to find healing with his sisters doesn't seem to be working. Soon enough their lives intersect in dramatic, sometimes painful, and ultimately healing ways. 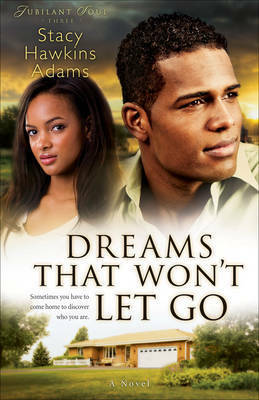 This insightful novel by an Essence bestselling author will pull in women readers from the urban market and beyond. Stacy Hawkins Adams is a freelance reporter and inspirational columnist. She is the author of Speak to My Heart, Nothing but the Right Thing, and Watercolored Pearls.